Lunar Eclipse 2018, Chandra Grahan or Blood Moon Eclipse 2018 on July 27 Highlights: The century's longest took place on July 27. Chandra Grahan or Lunar Eclipse July 2018 today India LIVE UPDATES: Skywatchers around much of the world watched a complete lunar eclipse that is the longest of this century. It was visible on July 27 from different parts of India amid cloudy night. 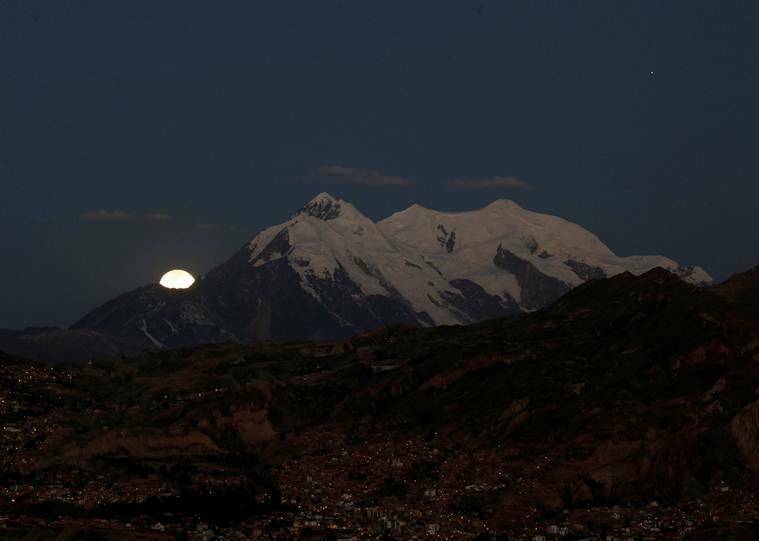 During this rare phenomena, the Moon turned bright red and was visible in India as well. 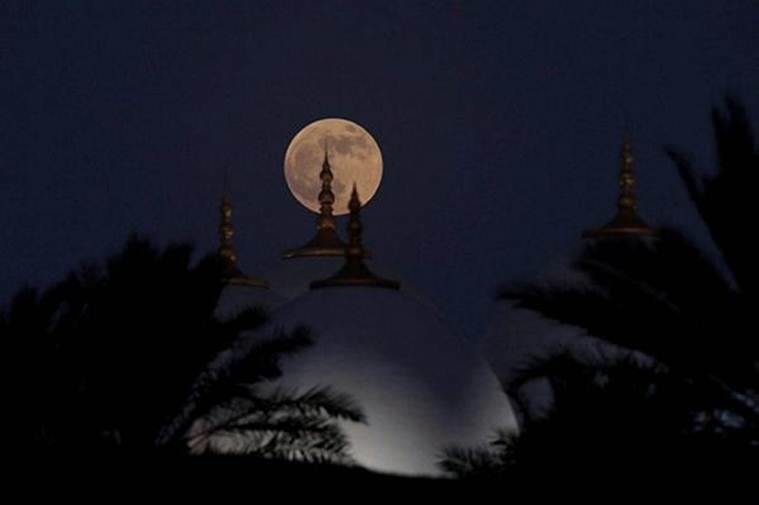 NASA predicted the total lunar eclipse will last for close to one hour and 43 minutes, starting late at night on July 27 and continuing till the early hours of July 28. In addition, the event was also be visible in parts of South-America, parts of Europe, Africa, Asia, Australia. All of Asia (including India), and Eastern Africa. The entire eclipse included two partial lunar eclipse. The first part of lunar eclipse started at around 11:44 PM IST on July 27. The Moon turned red only at the highest point of the total lunar eclipse, which started around 1 AM on the night of July 28. The phenomenon lasted till around 2:43 AM IST on July 28. Unlike solar eclipse, one does not need to cover their eyes with protective filters to view the Blood Moon. Viewers will need no protective eye gear to observe the spectacle -- unlike when watching solar eclipse. All you have to do is... go outside! and watch the rare view. As planet Mars will hover near the moon in the night sky, the moon is expected to turn red, easily visible to naked eye. 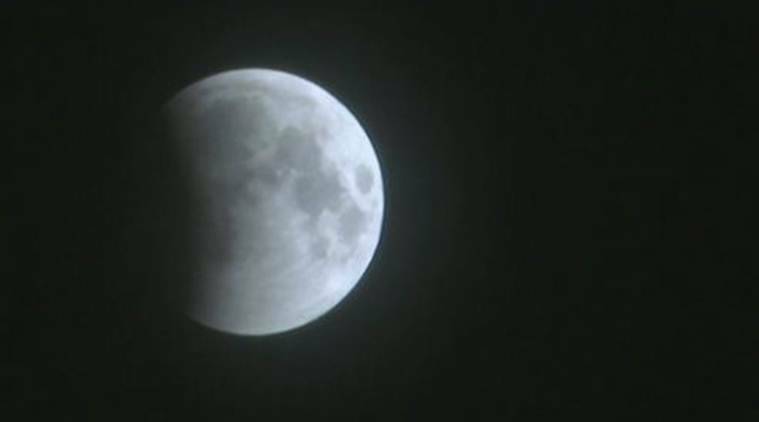 The Director-General of Police, Goa Dr Muktesh Chander expressed his disappointment at the news channels for showing superstitious debates instead of sharing some educational information about the Lunar eclipse. The NASA Moon is tweeting out information on the total lunar eclipse 2018. Check out the tweet below which has a visualisation of the Lunar eclipse. Lunar Eclipse 2018: Will the Moon appear big? No. This time when the total lunr eclipse takes place, the Moon will be at its apogee or the farthest point in its orbit around Earth. The Moon will actually appear 13 per cent smaller in size. 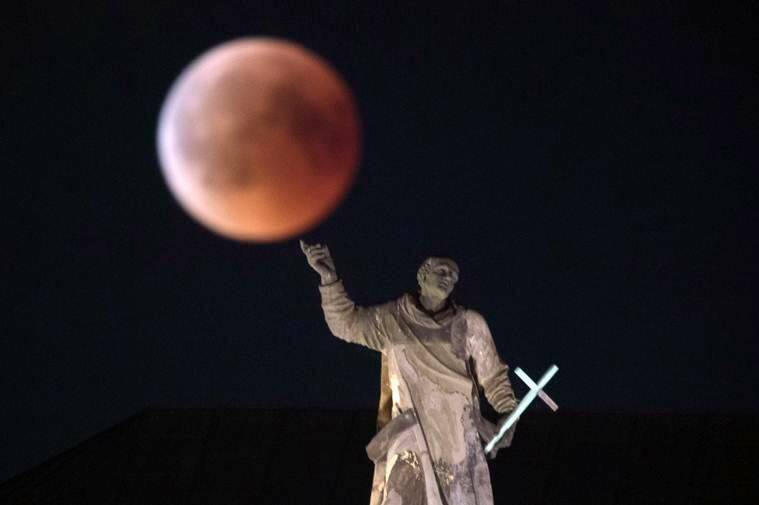 Unlike the Super Blue Blood Moon, where it appeared much bigger in size. Lunar Eclipse 2018: Can you capture good photos on your smartphone? 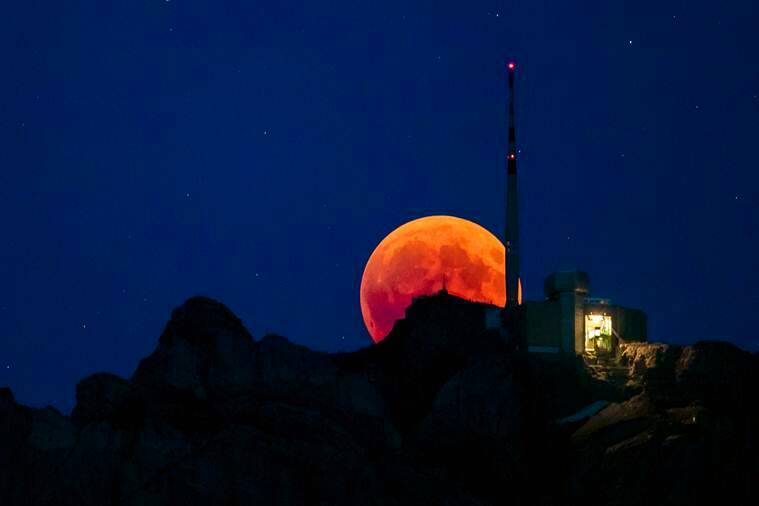 While those with a DSLR and better lenses should be able to capture good images, provided the blood moon is visible, smartphone users need not despair. If you are planning to capture with a smartphone like the iPhone or Pixel or even the S9 series, remember the images will be grainy. Also the Moon won't be a 'Super Moon' meaning it will appear smaller in size, so capturing a stunning image might not be that easy. But those who have an external telephoto lens can attach it to their smartphone in order to capture good eclipse shots. These lenses feature longer focal length, which means you can get more details of the moon. External lens options include Olloclip Aukey photo lens for iPhones and Android smartphones or DMG 8X Zoom Magnifier Optical Telescope lens for mobile camera phones. Read more on this topic here. Due to clouds, courtesy monsoon, the phenomenon may not be visible in Delhi. Lunar eclipse 2018: When will the 'Blood Moon' be visible? As already pointed out this only happens during the total lunar eclipse. 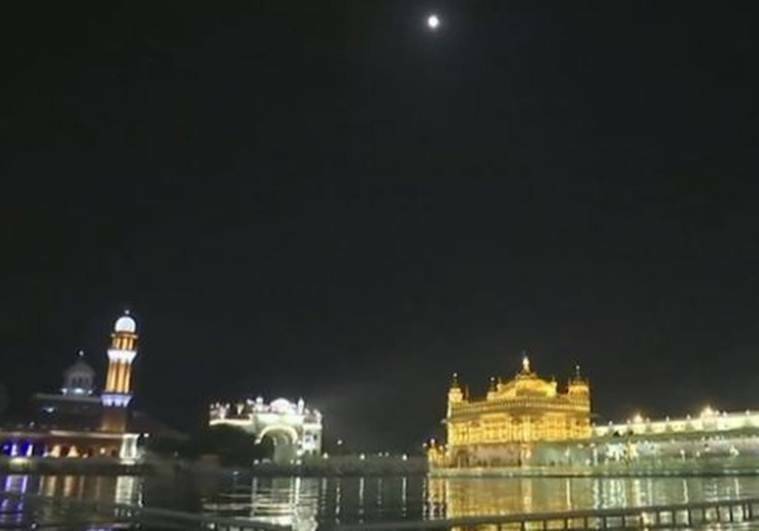 This will set in place around 1 am in the night for the residents of India. Expect the Moon to turn reddish around this point in time. 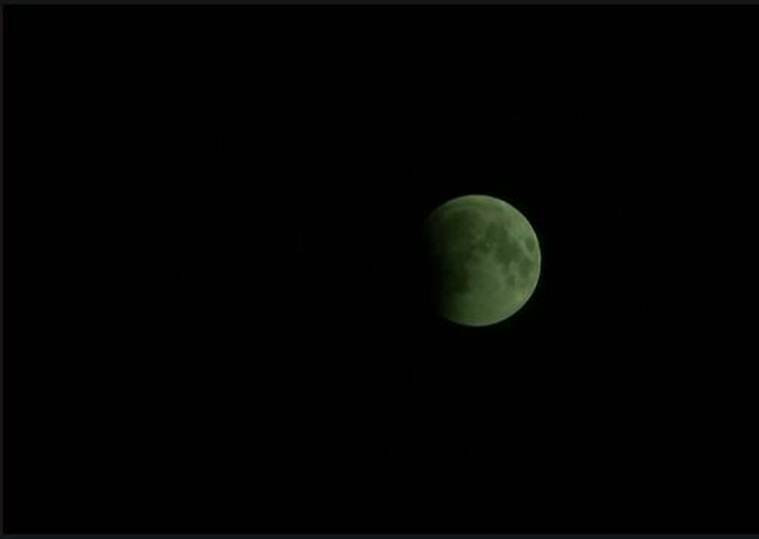 The total lunar eclipse will last till 2.43 am. 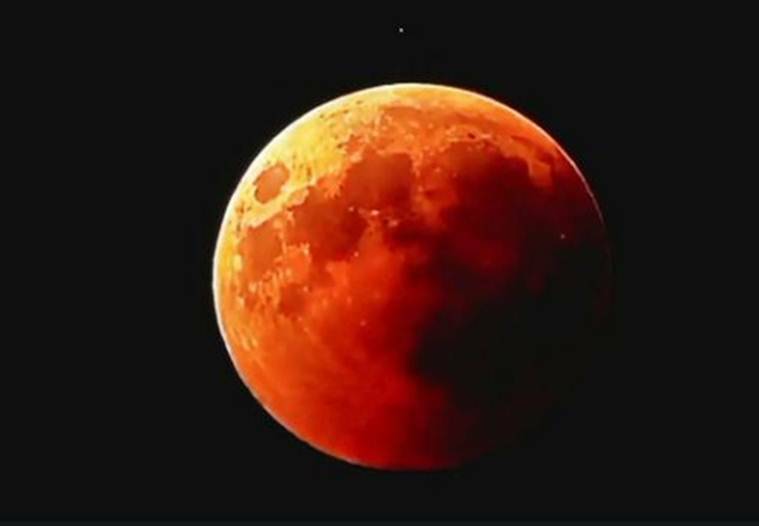 The blood moon in followed by the Super Blue Blood Moon that played out on January 31 and was witnessed by people across many parts of the world this year. While this event may not seem as dramatic in comparison, the moon will still be observed in hues of scarlet red. In India, the total eclipse is expected to begin at 1am IST and go on until 2:43am. Timeanddate.com has a good eclipse tracker, which allows you to enter your location and find out when is the best time to see the eclipse. It will also be featured on various YouTube channels. Lunar eclipse 2018: Is it safe to watch? Yes, the lunar eclipse, unlike a solar eclispe is completely to safe to watch without the need of any special protective filter over the eyes. Any other 'precautions' about the lunar eclipse are myths, and really it has no impact on your food, life or horoscope. As already noted, this total eclipse is the longest one in the century, and a sight not to be missed. 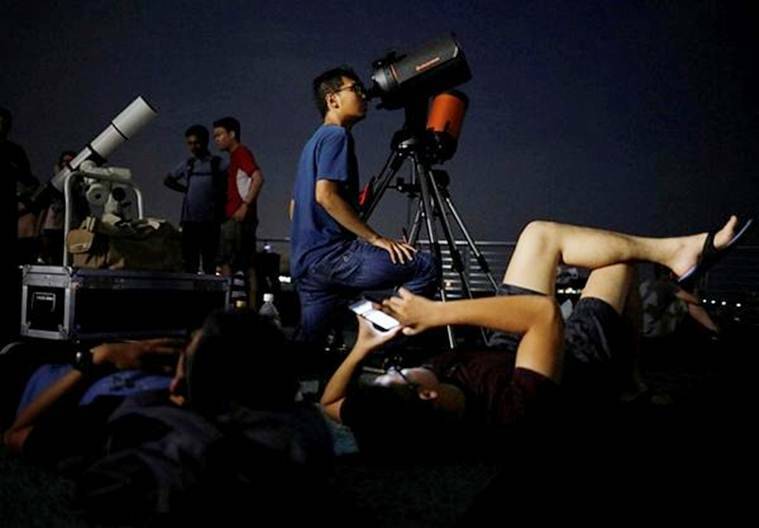 Those interested can rely on a telescope as well for a better view. Yes, the partial eclipse will begin at 10.45 pm in the night, but this is not the phase of the moon when it turns red. The total lunar eclipse will only set in at 1 am in the night and last till 2.43 am in the morning of July 28. After that a partial eclipse will again set in, which will last tilll 4.30 in the morning. Lunar Eclipse 2018: Is it safe to watch with naked eyes? Total lunar eclipse is safe to watch with naked eyes, unlike a solar eclipse. One does not need a telescope to watch a total lunar eclipse, according to NASA. Those interested in capturing the event will need a good DSLR, lenses or clip-on lenses for smartphone for sharp photos. The total lunar eclipse will start late at night of July 27 and continue till early hours of July 28. Do note that this is the longest eclipse in the century at 1 hour, 43 minutes. 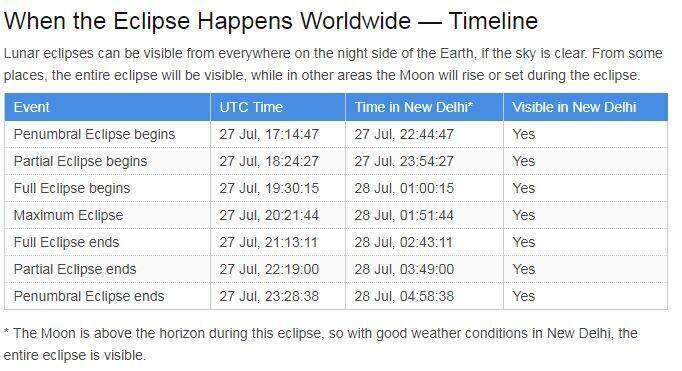 In India, the phenomenon will start at 11:44 PM IST on July 27 and should last till 2:43 AM IST on July 28. A total lunar eclipse takes place when the Sun, Earth and Moon are aligned and the Earth blocks sunlight from reaching the satellite. The Moon turns 'blood red' colour thanks to scattering of sunlight. Though Earth blocks sunlight from reaching the Moon, some indirect sunlight still manages to reach the satellite due to which Moon appears red. A total lunar eclipse is when the Sun, Earth and Moon are aligned and the Earth completely blocks sunlight from reaching the satellite. The July 27 eclipse is the longest eclipse in the century, and it lasted for one hour, 43 minutes. A partial lunar eclipse was visible after 2:43 AM IST on July 28 as Moon continued on its orbit and pulled away from the Earth's shadow. India will not get to witness another event like this till September 2025, which is a long wait.